Ethiopia’s parliament on Thursday ratified the Nile River Cooperative Framework Agreement that aims to challenge Egypt and Sudan’s claims to the majority of the Nile River waters. It is expected that the other five signatory countries, Rwanda, Tanzania, Uganda, Kenya and Burundi, will also ratify the agreement, immediately putting it into legal effect. Two other countries, Congo and South Sudan, had announced plans to sign the agreement. According to Khaled Wassif, spokesperson of the Ministry of Water and Irrigation, the parliamentary ratification of the accord has no effect on the situation for Egypt. “The ratification does not carry any affect except to those countries that have already signed and are willing to ratify the agreement,” he said. Wassif added that according to international legal standards, the agreement applies only to signatory countries unless it garners enough support through ratification to become regional customary law, in which case it would apply to all countries regardless of ratification, including Egypt. Hani Raslan, an expert on water politics at the Al-Ahram Center for Political and Strategic Studies, commented that Ethiopia’s ratification of the treaty was expected. He added that the situation could lead to further tension between Egypt and other Nile Basin countries if the treaty comes into effect. Ethiopian officials have called on Egypt to address the issue through diplomacy and negotiations to create a win-win situation for both countries. However, President Mohammed Morsi warned Ethiopia on Monday that “all options are open” to stop Ethiopia’s dam project. 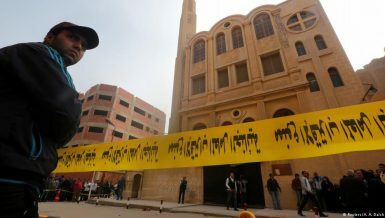 Raslan described the official stance of the Egyptian government on the issue as “perplexing,” adding that their approach often goes from one extreme to another. “We have gone from cooperation with other countries to the President talking about shedding blood over the issue,” he said. 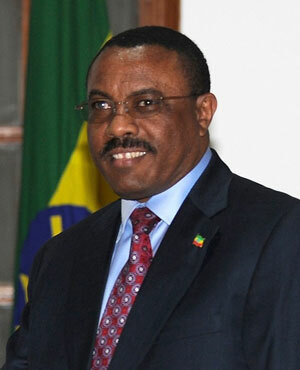 Ethiopian Prime Minister Hailemariam Desalegn responded to President Morsi’s threat of conflict by vowing that “no one” will interrupt the construction of the dam. The Ethiopian Minister of Water and Energy Alemayehu Tegenu told parliament that the government had made several attempts to appease and cooperate with the Egyptian authorities. These include postponing the agreement’s ratification by a year to oblige Egypt’s request for time until a new government was elected following the 2011 uprising. He furthermore added that Ethiopia out of cooperation allowed Egyptian experts to inspect the Grand Ethiopian Renaissance Dam. “No other country does this but we did it in cooperation and friendly spirit. 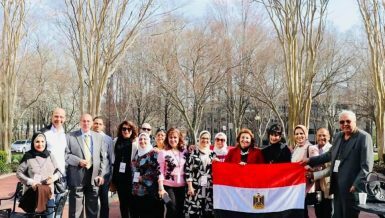 But we are seeing how our good intentions are being responded to,” he said, referring to the hostile statements made by Egyptian officials in the past week. Last month, Ethiopia began diverting the waters of the Blue Nile in its construction of the Renaissance Dam, a $4.2 billion hydro-electric dam that Egyptian analysts claim will diminish Egypt’s water supply. The agreement is a result of regional negotiations that date back to 1997 when several riparian countries held negotiation to discuss a new legal and institutional framework that would supersede the 1959 Agreement. However, according to the 1969 Vienna Convention of the Law of Treaties, a treaty cannot create either obligation or rights for a State that is not party to it.